A premier business financial education platform for Coaches, Consultants and Solopreneurs. Try us out for FREE! Budget friendly resources waiting for you NOW! From business finances to personal. Effortlessly create money management systems to know exactly where you stand financially. 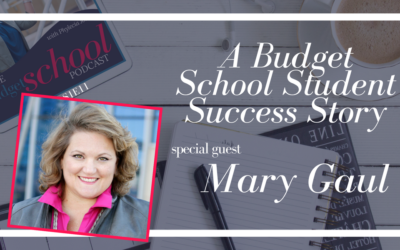 A successful budget requires a successful income strategy. Get the latest on what is working to get your money flowing. The most important decision you will make as a business owner. And we give you tips on how to make it happen. Your solopreneur journey is to create a successful business, make a difference, and support your lifestyle. Not to stress you out, make you feel alone, and put holes in your bank account. Subscribe and get notified of the FIRST show! Weekly podcast notifcations and weekly solopreneur tips to grow your money and business! Get your questions ANSWERED on the podcast! Submit your question NOW! Say HI on Facebook! Give us feedback on what you want to learn! Your ability to successfully manage your solopreneur money comes down to you living your lifestyle with a profitable business… or always feeling two steps behind. Tired of saying “I'm not good with money” or asking “Where do I start with a budget?” Financial education is not just for kids. Get the knowledge you have been looking for so that you can be a successful entrepreneur and live out your dreams! Actually create a budget and give yourself a salary that works for your business lifestyle. On your desktop, tablet, or phone, get your financial education where ever your business takes you. No longer let your money mindset get in the way of you achieving your dreams. Stop BSing with your money and business!